Giving our clients a business advantage is our mission, gaining a solid reputation for doing so is our vision. Since its launch in 2013, Draco has engaged with a number of significant clients ranging from multi-national engineering and construction groups, to advisory and private equity firms. 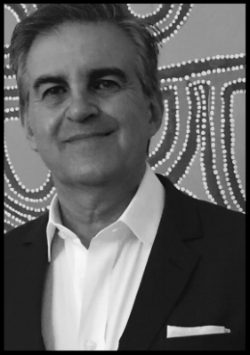 Dario Amara is an experienced executive, director and entrepreneur with a business track record and network over some 34 years in Australia and internationally. His experience spans the construction, engineering, property, resources, energy and manufacturing sectors at various stages of the business cycle. He has operated as a CEO for over 16 years with John Holland Asia Limited, GRD Minproc Limited, Emerson Stewart Limited (which he founded and listed) and POSCO-BGC JV. He has a track record in establishing and developing businesses with particular strengths around governance, project development, project delivery, building high impact teams and performance improvement. Coinciding with his executive roles, he has served as a Project Director, Project Board Chairman or as a Member of Alliance Teams across a variety of project sizes, types and delivery models. Additionally, and over some 14 years, he has served as a Non Executive Director or Chairman on various publicly listed company Boards including Austal Limited, Mission NewEnergy Limited and OTOC Limited. Alberto Amara is a results-driven construction professional with experience as a project manager, site manager and contract manager. He is focused on successful management and delivery of projects and building strong partnerships with industry subcontractors and suppliers. His project experience over some 12 years includes major commercial, civic, multi-storey residential and correctional facilities on projects up to $200M in value. He has a particular interest in applying contract methodologies that limit or avoid the possibility of disputation on projects.